Your Tax Dollars at Work: EAS, CAP, CALM, & More! Emergency Alert System and “CAP.” Regulators: FEMA, FCC, National Weather Service, U.S. Department of Homeland Security. Deadline: June 30, 2012. What it is: Here in Colorado, we’re already getting the afternoon tornado warnings, which turn the TV into a bleeping, black-screen, with white text advising us to take immediate shelter, and accompanying audio, saying the same thing. EAS and the common alerting protocol (CAP) extends that type of work nationally, so that the President (of the U.S.) could theoretically interrupt TV programming to tell us something really important. At an MSO level, the work of it is software changes to the gear that currently handles local EAS. Video Descriptive Services. Regulator: FCC. Deadline: July 1, 2012. What It is: This has lots to do with a little button on your TV remote labeled “SAP,” for “Secondary Audio Program.” Right now, and depending on where you are, pushing that button invokes a monaural mix-down of the sound track, with all of the speaking done in Spanish. With VDS, however, pressing SAP would also mix the audio channel down to monaural, but instead of Spanish, you’d hear the original feed, plus a description of what’s going on visually. Not so much “suddenly, the phone rang,” because the viewer could hear it ringing. More “she put the phone to her ear anxiously.” The work of this is more on program networks than MSOs, but if you’re bigger than 50,000 subscribers, you’re on the hook to pass through 50 hours of VDS-augmented programming every quarter. This one is riddled with complexities that will make you want to poke your own eyes out. The Report and Order details “VPOs” (Video Programming Owners), “VPPs,” (Video Programming Providers, and 112 deliriously entertaining (not!) pages of accompanying regulatory-speak. Stretch and hydrate before you dive in. 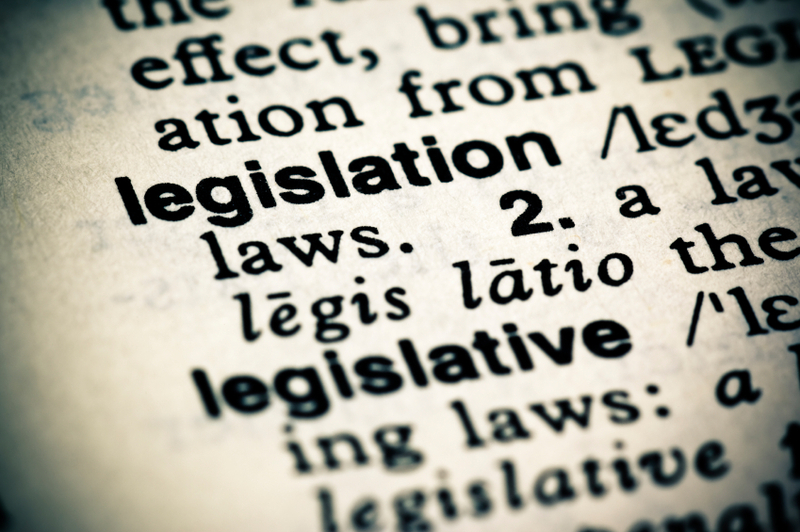 Commercial Audio Loudness Mitigation Act (CALM). Regulator: FCC. Deadline: Dec. 13, 2012. What It is: Ways to not get blasted out of your chair when commercials play at way higher volumes than program material. By year-end, MSOs need to begin periodic testing of networks that don’t “self certify” that they’re CALM compliant. Big halleluiah on this one. The most challenging thing about moving out of reach of the cable cord, for me, is content discovery. These days, there’s a lot of over-the-top content you can view on your TV through Netflix, Hulu, Amazon, etc. — but most devices don’t allow you to browse all of that content from a single app. Instead, you have to go into each video streaming app, one by one, to see what’s on. Rummaging around for content in several different apps requires significantly more effort than channel surfing on a cable box (I like to call this the “silo effect”, because the content is segregated into separate services, like silos. And also possibly because I live on a farm). And this “silo effect,” in my lab tester’s opinion, is the biggest problem facing cord-cutters right now. (Though some might argue it’s the inability to stream Game of Thrones). Google TV comes pretty close with its TV & Movies app, which I’ve ranted about at length in another post. In short, it would work better if there were more content to discover on the Google TV. Boxee also does a decent job of unifying content in one place, but like Google TV it lacks in paid streaming apps (for example, Hulu Plus and Amazon aren’t available). But unlike Google TV, Boxee’s browser isn’t blocked from every service provider website, and now can access selected titles on the Xfinity website (which are available without a pay TV login, surprisingly.) So it offers a pretty good selection of ad-supported web content. But other players, like Roku and NeoTV, which do access most of the major streaming video services, don’t yet unify it — so you can’t search or browse in one place. Mobile devices, on the other hand, are progressing a little faster in terms of content discovery. Because I’ve been watching a lot more TV on my iPad lately, I’ve been trying out various apps in the hopes that we’ll soon be seeing some of them on other devices. 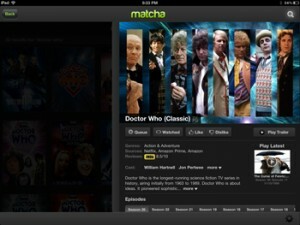 So this week, we bring you a comparison of two of the most popular content discovery apps for the iPad: Matcha and Fanhattan. 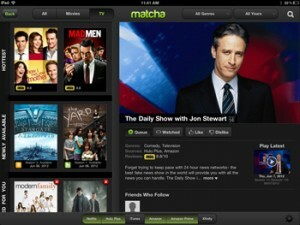 Matcha is an iPad app that allows you to search and browse content from iTunes, Amazon Prime and Instant Video, Netflix, Hulu Plus and Xfinity. You can also connect to your Facebook account, if you’d like to see what your friends are watching and do a little oversharing of your own. Matcha’s user interface (UI) is pretty slick, with a row of buttons you can toggle on and off to include different sources, so the search results display only what you can authenticate into / access. (Meaning if you don’t do Hulu Plus, you can filter it out.) The main screen includes rows for recently watched titles and queue, which combine results from all the services you select. Once you tap the link to watch a video on Netflix or Hulu, you don’t need to confirm your selection again before it starts playing – the ease of use is pretty stellar compared to similar apps I’ve tried. But even though you can’t click right through to watch Amazon content, it’s still very useful to be able to search so many sources at once – for example, Leslie recently asked me to find out which services could be used to stream Doctor Who. Traditionally, such a request would involve about 15 minutes of searching, one by one, on the various service provider websites. This time, it took maybe 15 seconds to get an answer (and it’s on both Netflix and Amazon Prime, in case you were wondering). 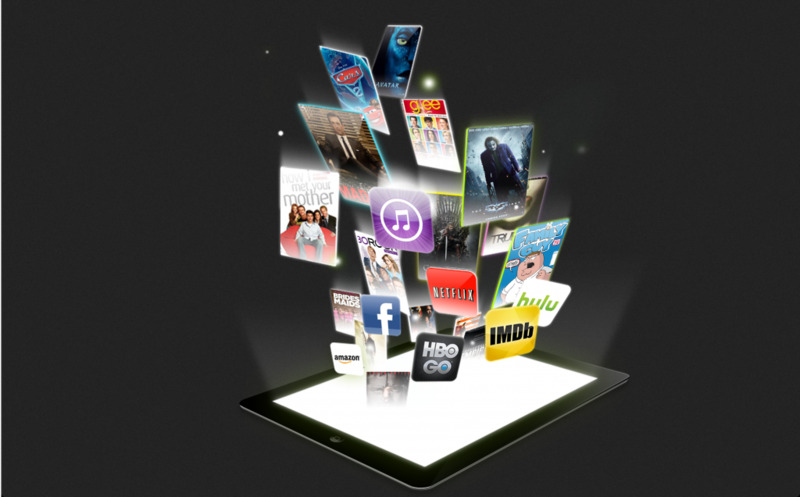 Fanhattan combines results from Netflix, Hulu Plus, iTunes, and the ABC Player app, and it has useful browsing categories like “Hottest,” “New on Hulu Plus” and “Netflix Marathon.” And like Matcha, you can connect Fanhattan to your Facebook account . There are several things I like about the UI and the app in general — for instance the “Smart Browse” feature which allows you to narrow the selection to include certain genres, ratings, air dates, etc. But while I really want to like Fanhattan, I’m sorry to say it’s just not ready for primetime yet. For one, Fanhattan seems to have a few issues with the way it redirects and opens the video. If you left off watching something within the Netflix app, that will launch instead of what you selected to play through Fanhattan. And about 90% of the time in our tests, the Hulu Plus app got hung up, crashing both the Hulu Plus and Fanhattan apps in the process. And while I’m on the subject of Fanhattan and Hulu Plus, I noticed that many shows had limited availability on Fanhattan – for example, recent episodes from Fox and Comedy Central are on Hulu at least a week before they can be accessed via Fanhattan. I’m not sure why this is the case on Fanhattan and not Matcha (which allows you to access Hulu content the day after air), but I do know that I’m unlikely to use a content discovery app that further limits what I’m able to access. In case you missed it, last Wednesday (June 6) was World IPv6 Launch Day. The fact that it was pretty much a non-event was simultaneously manna and anti-climax to the men and women who spent the last several years working on it. Why: When you get the bad guy before the bad guy gets you, the taste of success is … nuanced, at best. In this case, of course, the “bad guy” is the nearing and very real exhaustion of the pool of IP addresses used by our computers, tablets, “connected” devices and phones, to get to the Internet. The existing pool, based on a numbering schema known as IPv4, is like water in the American West: It’s running out for sure, but nobody really knows exactly when. Luckily for us, this is not news to the forefathers of the Internet, who realized as far back as the early ‘90s that the way they’d numbered the things that need a connection wasn’t a big enough way of numbering. Those of us who grew up with smaller telephone numbers than now will get this immediately; I grew up with a single seven-digit telephone number (348-9619!) and now use several 10-digit numbers. Just as there exists a community of people around the technologies of ad sales, and DOCSIS modems, and cellular backhaul, and on and on, there exists a community of very bright network engineers who spent the last five or more years making sure the rest of us still get connected, after the address pool depletes. What happened? Some bandwidth-watchers, like Sandvine, noted the surge in V6 traffic going to and from Netflix and YouTube; others, like the MSOs who turned up IPv6 in their networks, note YouTube as the biggest v6 gainer last year, and Facebook this year. Plus, some Internet things – browsers, like Safari, come to mind – default to IPv4, as a vestige of the oddly named “Happy Eyeballs” algorithm, which aimed to keep bits moving (and therefore any connected clients “happy.”) In essence, if IPv6 got gunked up anywhere, the algorithm defaulted back to IPv4. Note: Just because World IPv6 Launch Day happened, doesn’t mean anyone’s work is done. What happens now? For operators, upgrades to IPv6 will continue, CMTS-by-CMTS, then upgrading firmware in cable modems, gateways, and related in-home gear. Ultimately, from now on, the IPv6 scene is less of a race against depletion, and more a series of maneuvers to segue more devices and services onto the newer, bigger address pool. Anyway, I got out of the habit of watching live TV during the years that I had a Comcast DVR box in my living room. If there’s breaking news, I’ll tune in – otherwise, I tend to watch TV at least a day after it airs. During my time without the cord, I’ve noticed another shift in my viewing habits. These days, when I’m watching TV I’m often not actually in front of the TV. Instead, I watch (more like listen) while tackling boring household projects, like cleaning up after myself in the kitchen and folding laundry. This works out to be a pretty good deal for me, because I end up with clean clothes and dishes in addition to NOT spending that time sitting on the couch. I started out playing video on my laptop, which is inconvenient to haul around but allows me to access any conceivable source of OTT content. 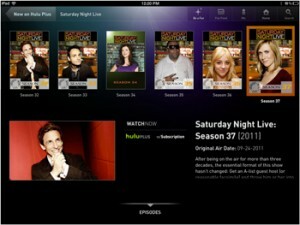 Over the past few months, I’ve switched over to primarily using my iPad to catch up on TV. The iPad is almost an ideal portable OTT device, but for just a few problems: its built-in speaker can barely be heard over a dishwasher, it has no access to Amazon Prime, and it doesn’t have Flash support for playing web video. As for the lack of a Flash player and Amazon content, for me it’s just not worth the difference in counter space between my laptop and an iPad. Between Netflix and Hulu Plus, I usually find plenty to watch. The Video Stream app has a pretty slick user interface, and with a long-press of your finger on any video thumbnail you can download and convert video on the fly. But if you’re converting videos for iTunes so you can stream them to your AppleTV via AirPlay, don’t bother – Video Stream does that too, and does it quite well from what we’ve seen. My sole complaint about Video Stream on the iPad is that the app crashes on occasion, and when it does it’s not able to resume the video you were watching. Before long I discovered OTT streaming players like Roku and Google TV, which brought the living room experience back to the TV. But my short immersion with my makeshift version of TV Everywhere got me hooked on watching TV in other rooms, and now I can’t imagine cleaning out my closet without being able to simultaneously marathon-watch episodes of the reality show Hoarders. We have Comcast service in the lab, so I’m still able to stay up on the latest cord-related technology even if I can’t get it at my house. 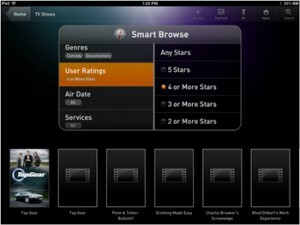 A few months ago we got the AnyPlay service, which gives us access to the full range of live channels on the iPad (only within range of the Wi-Fi router, connected to the AnyPlay box, of course) in addition to the usual Xfinity On Demand content. A few issues are cropping up with AnyPlay – no one is immune — but after spending some time with tech support over the last few days, it appears that the culprit is the WiFi, which in this case sources from an Apple Time Capsule. And although I always have more than enough content to watch, I think it bears repeating that the cord-cutting experience is still a long ways off from pay TV in terms of just being able to tune in and watch, and I sometimes miss having cable. With all the content spread out across different services, finding something to watch can be a chore – especially when you just feel like sitting slack-jawed in front of the TV for a while. Last week we took the short route through the longest-ever NCTA Tech Paper, a whale of a thing, at 182 pages. 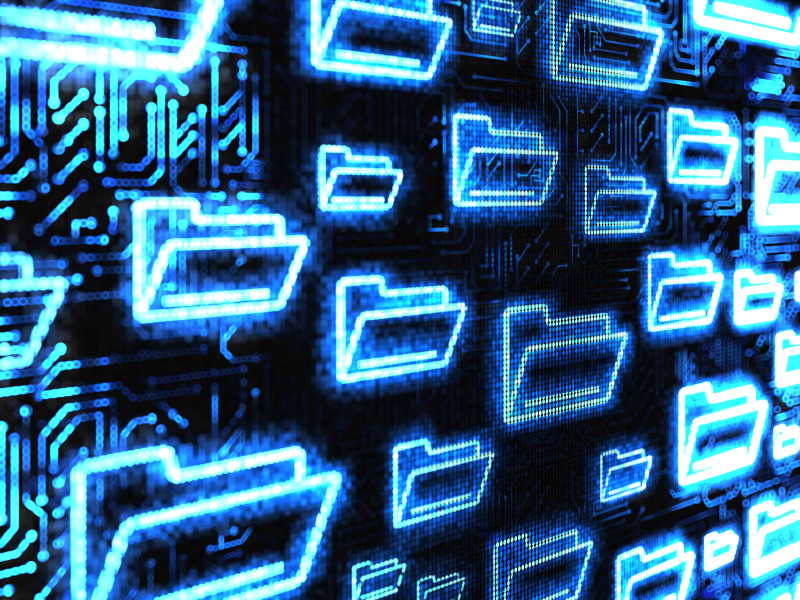 This week, the bigger trends arising from this year’s engineering scribes, starting with the colorful analogies: “The prisoner’s dilemma” and “the ships passing in the night problem,” used in different papers to illustrate that adaptive bit rate streaming clients inside PCs, tablets, and other screens playing IP video usually work in isolation of each other. So that multi-megabit-per-second pipe into the house might pour a fat stream to the smallest screen, and a skinny stream to the HDTV – because the two screens don’t know of each other’s existence, under the same roof. In a prison sense, then, eat all the food or share it; either way, face the consequences. So, by design, what’s transpiring on, say, layer 2, cannot fathom what’s happening up on layer three, or four, and so on, up through layer 7. Like ships passing in darkness. If you saw the “surfaces” exhibit at the show, and wondered how to turn that man-cave wall into a giant TV screen without projectors, check out “Surfaces: A New Way of Looking at TV,” by Kevin Murray and James Walker. 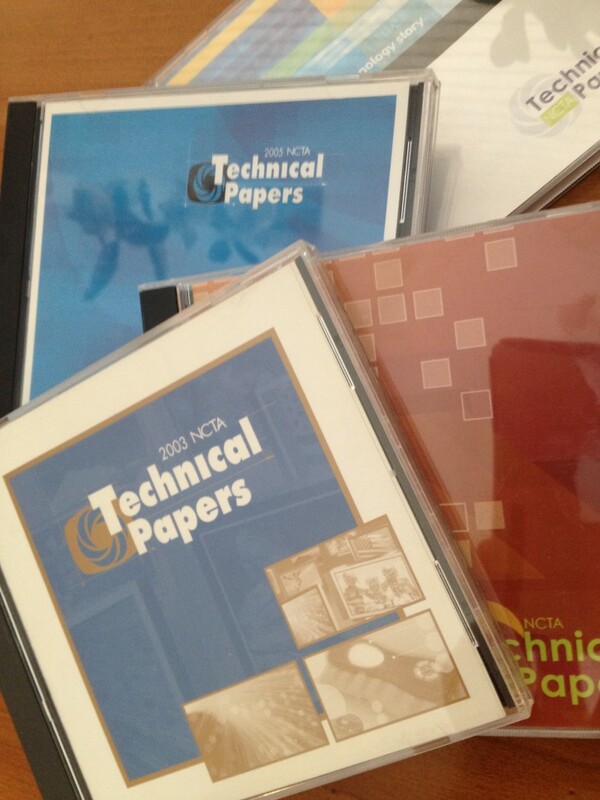 My stash of printed NCTA Tech Papers dates back to 1988, and most of the recent editions are on CD-ROM, not paper, but still: The fattest one I can find dates back to 1997. Page count: 442. Here’s how the whale breaks down. If you’ve wondered about the trade-offs about going “higher,” spectrally – widening the upstream path – go no further. The first third of the piece details the three main choices, with pros/cons of each. Also what’s sitting there, spectrally, that would need to be moved or mitigated. Short version: The spectral ranges go by “sub-split,” which is where things sit now: Between 5-42 MHz. After that, the “mid-split,” which inches the upper boundary of the upstream to 85 MHz. Today’s DOCSIS 3.0-based gear already goes there; it’s not been activated anywhere yet. Then there’s the “high-split,” which stretches the upstream to 200 MHz, and the “top split,” which piles upstream bandwidth up on top of today’s downstream spectrum, above 1 GHz. Then there’s the matter of what’s already sitting between 42 MHz and 85 MHz, 200 MHz, and above 1 GHz. 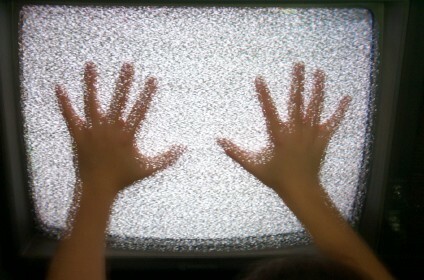 In the lower regions, it’s things like analog channels, which will go digital anyway. And there’s the FM band, which sits between 88-108 MHz. Potential issue: Interference. Then there’s Aeronautical Mobile and Radio Navigation, between 108-137 MHz. Potential issue: Signal leakage. And don’t forget legacy out-of-band signaling, used by today’s set-tops and modems to move things like guide data, and command-and-control information. Then there’s talk of improving how transit errors are corrected. More tech talk: “LDPC,” for Low Density Parity Check code. Turns out that using LDPC with OFDM creates a 20% improvement over the tried-and-true, installed method of FEC, known as Reed-Solomon. And that’s all that can be wedged from a 182-page whale into a 450-word column. We will revisit this topic…I promise.